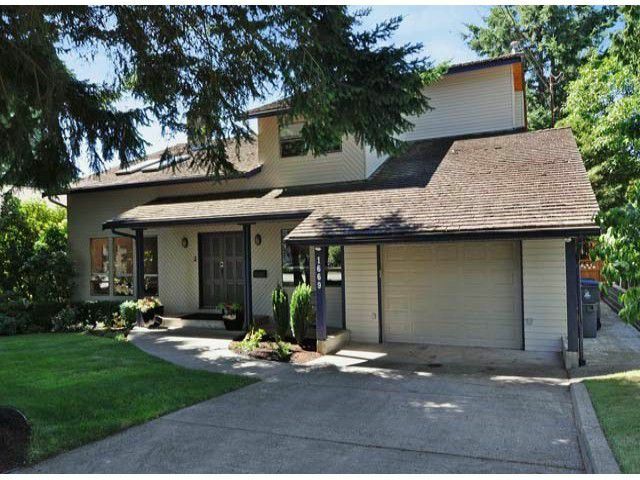 Walk to Semiahmoo Sec, HT Thrift elem, indoor pool & sports facilities, all within 2 blocks! House & property perfectly maintained. This home has had the same owners for 25 years. They have kept it beautifully and made updates incl a new furnace and improved insulation. It is an open plan, bright and airy. Living room with skylights, high vaulted ceilings, floor-ceiling 2-sided gas fireplace. Gorgeous "barn oak" laminate through main floor. Kitchen opens to eating area & spacious family room. 2-storey entry, open stairway up to 3 large bedrooms, open "loft" for a computer nook. The master bedroom has been completely remodeled with extended west-exp deck, new crown mouldings, custom closet organizers and a gorgeous ensuite bath. The home has been fully repainted inside. The lot is a 7200 sq.ft. west-exposed perfect, fenced back yard. The landscaping is meticulous & gorgeous, and property incl a hot tub. Located on a no-thru street, half a block from Vancouver fast bus. This home is move-in ready! A perfect loc.